I've always kept a tight food budget. I make a meal plan each week and only buy what's on my list. I use coupons when I can and shop the sale ads each week at Giant Eagle to make my dollars stretch further. Giant Eagle is slashing prices at participating stores in Ohio. These are permanently lower prices and not sale prices, so I can save even more money every day on select items in dairy, pets, grocery, frozen, household, cereal, and snacks. With over 5,000 items on the list, I'm sure several things on your weekly shopping trip have had their prices slashed. Even though I do still follow the sales ad to plan my meals, now I can save money on the ingredients that I need to go with the sale items. I can't tell you how much this helps my budget, so now I'll have extra money left over each week to put towards my son's college fund. This also helps me because I don't have to wait for sales on several items. I can just get them when I need them, so my pantry stays well stocked. We had a long week, so we were going to grill out on Sunday and just hang out and enjoy the warmer weather as a family. Since the hubby normally takes on the task of grilling, I decided to make a special dessert for the family. 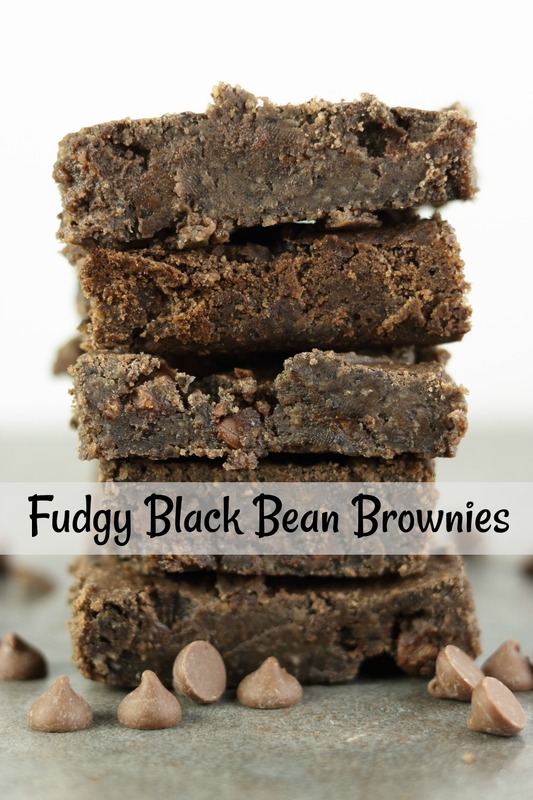 Black bean brownies have been on my list of things to try since I love chocolate, but I'm trying to eat better. 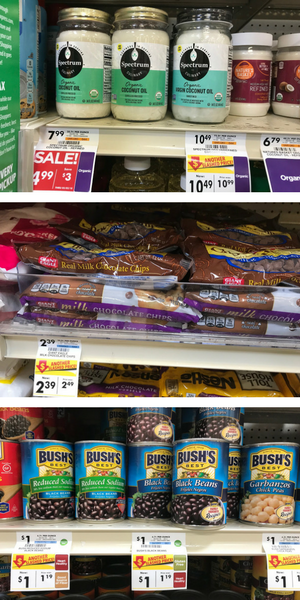 Thankfully, the beans, chocolate chips, and the coconut oil were part of the slashed prices at Giant Eagle. I use a lot of coconut oil, so the new slashed price will definitely help my blogging budget as well as my food budget. These brownies aren't just "good for black bean brownies".. They are just good! You'll never know they have beans in them. Drain and rinse the black beans very well. I drained mine in a colander, rinsed several times, and let dry for several minutes while I got out the rest of the ingredients. Combine all ingredients except the chocolate chips. Blend well in a food processor or bullet blender. A regular blender may not work as well, so try not to use one unless you have to. Stir the chocolate chips into the blended batter. It should be smooth except for the chocolate chips. Pour into an 8x8 pan. Bake at 350 degrees for 16- 18 minutes. Let the black bean brownies cool for at least 10 minutes before you cut them. If they don't look like they are set up, put them in the fridge until they are set up. These are so good, if you don't tell anyone what's in them, they will never know they weren't made with traditional brownie ingredients. What will you make from Giant Eagle's slashed priced list of foods?